Blocko is a Korea-based blockchain platform, founded by Won Beom Kim. Originally an engineer, he identified a real need for enterprises to have a stable, secure, and usable blockchain base for apps and services. Being an innovative blockchain company, Blocko takes a unique approach that allows clients to use a tried and tested base infrastructure. When a client engages with the Blocko technology, they get the whole framework, including the technical stacks. Blocko incorporates the key technology into the stack, giving their clients scalability and the performance that would be expected from an enterprise application. Their core service is Coinstack, which has its own key modules and feature sets. It creates different cryptographic identities that act as pillars of the blockchain-based platform. Clients can use this to store data, documents, business processes, metadata, files, and more. It can be used for both structured and unstructured data. The platform also has an easy to use development tool. 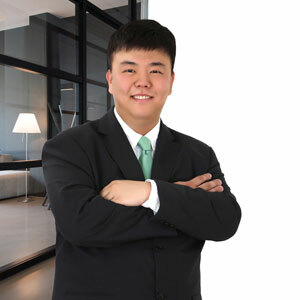 Kim says, “It is a user-friendly tool that provides a holistic environment for integrated development. It also allows for quicker app building and enables the developers to be more productive.” Blocko believes that developing this tool was important since blockchain originally came from the open source community, which is very different from the enterprise companies that were looking to it as a solution. Blockchai n is not a new technology, but Blocko is one of the only companies that can offer it as a product for real use. Kim says that this is because their clients are looking for value, innovation, and more concrete use cases. Blocko focuses on giving their clients a stable and secure platform to put their business on. With a clientele that spans industries, Blocko is constantly working to develop new use cases that would help other businesses and industries. They collaborate with their clients and partners to further the potential uses of blockchain as a platform. The platform can replicate and improve the functionality of existing software and services, while creating new ways to explore potential functions, saving cost, and providing a more secure base. Being a pioneering blockchain solution in Korea, Blocko is now looking to expand into the global markets. With new offices opening in London, Kim is also excited about leveraging other blockchain technologies like public blockchain. Blocko hopes to gain insights that will accelerate more development and newer technology.